Samsung Galaxy S9 and S9+ have long been rumoured to be unveiled at CES 2018 in late-January of 2018. All these rumours might amount to nothing as Samsung has said that unveiling the new flagship phones at CES seems ‘unlikely’. This also means that instead of the Galaxy S9 and S9+, the South Korean tech giant might unveil its foldable Galaxy X at CES. That leaves two separate occasions for the Galaxy S9 and S9+ might be unveiled. It could either be in February during the Mobile World Congress (like the Galaxy S5, S6, and S7) or at a dedicated event in March, like the Galaxy S8 and S8+. There have been multiple reports chronicling the specifications and new features of the Galaxy S9 and Galaxy S9 Plus. The display size of both the phones will be identical to their 2017 counterparts with the Galaxy S9 sporting a 5.8-inch Super AMOLED display while the Galaxy S9+ will have a 6.2-inch display. The bezels will be thinner than the previous generation devices with the infamous curved edges and “Infinity Display.” It is also reported that the Galaxy S9 series will have a 90% screen-to-body ratio. Unlike 2017, where there were barely any differentiating factors between the Galaxy S8 and Galaxy S8+, Samsung is planning something different for 2018. It appears that the Galaxy S9 will have a single camera at the back while the Galaxy S9+ will have a dual camera setup at the back. Samsung is developing a new software to make facial recognition on the Galaxy S9 faster than the Galaxy S8. However, Samsung is planning to introduce a host of software tweaks to reduce the delay in recognising the face and scanning the iris of users. Contrary to popular belief and some reports, the Galaxy S9 and S9+ will not have a screen-embedded fingerprint sensor. Recently, the Snapdragon 845 chipset was unveiled and the Galaxy S9 series will be the first of the many smartphones which will be powered by the new flagship chipset. As far as pricing is concerned, it won’t be a surprise if the Galaxy S9+ surpasses the Galaxy Note8 price and touch the thousand dollar mark, similar to the iPhone X. 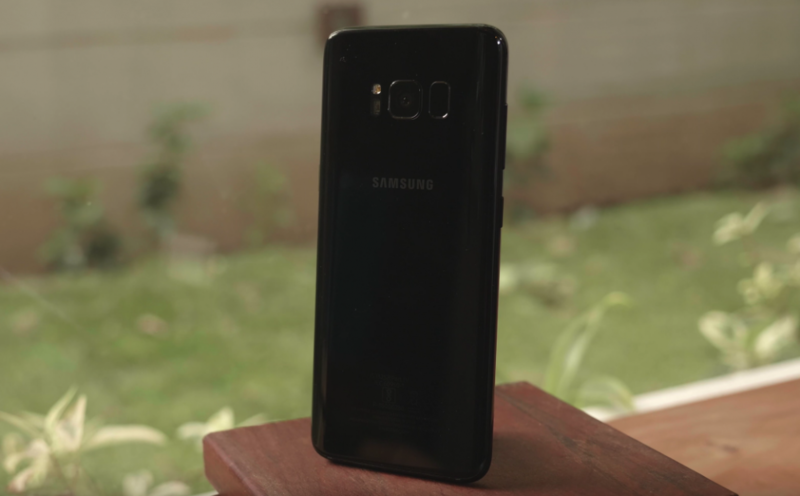 The Samsung Galaxy S9 is expected to be priced similarly to the Galaxy S8+.